Somehow we, as a nation, have lost our locus on this one. We have allowed the judiciary to become tyrannical in its assertion of powers not granted to it under the Constitution. How we got here is a curious matter. What is certain is that we need to step back from this and realize that the judiciary is but one prong of the three prong check and balancing of our system of government. Another thing needed is to put into check the expanding powers of the administrative agencies under the executive branch. But that is another subject for another time. 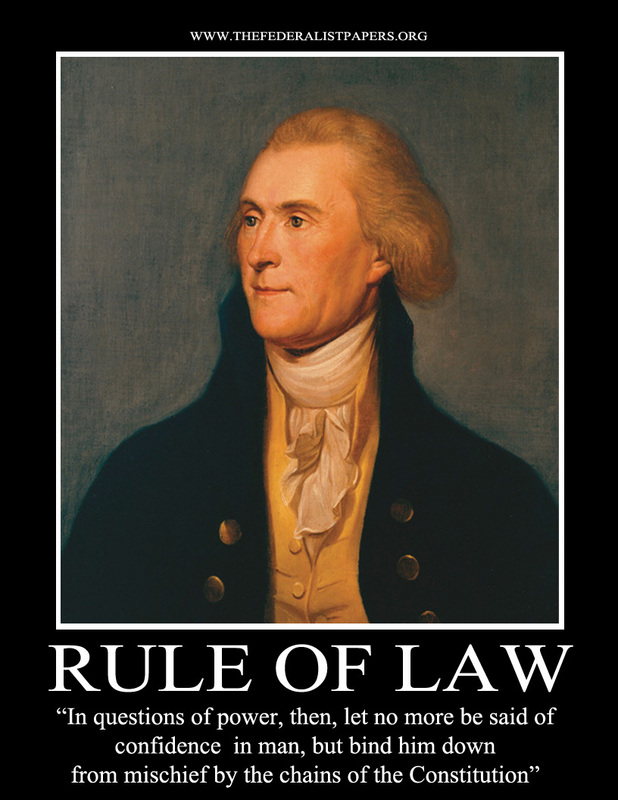 This entry was posted in First Principles and tagged Co-Equal Branch, Courts, Decision, Despotic, Executive, First Principles, Legislature, Role of the Judiciary, Rule of Law, Thomas Jefferson, Tryanny. Bookmark the permalink.